I am trying to prepare colouring-in pictures as children's activities. I have seen this question and attempted using this kind of technique. It works well for touching up existing line art, but isn't appropriate with arbitrary images. 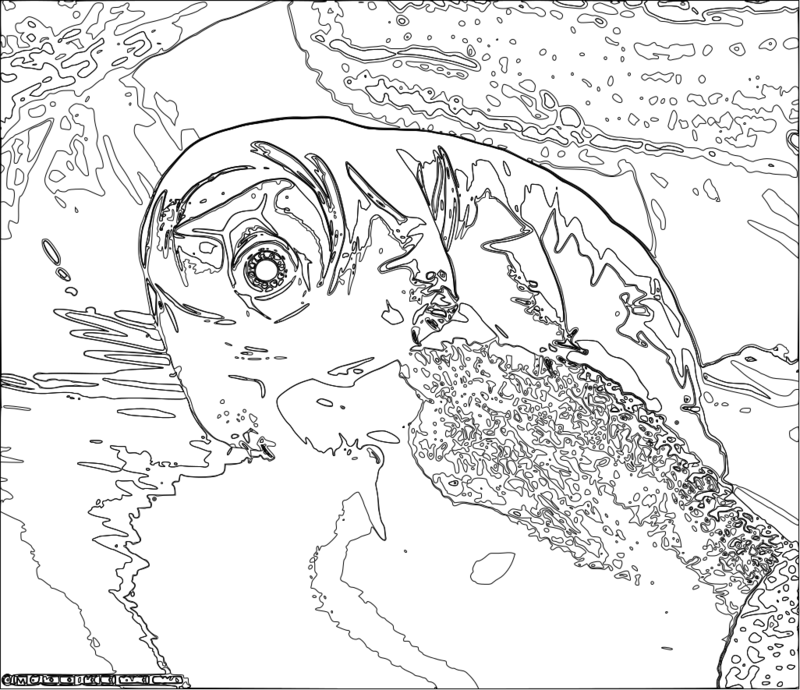 I have also tried using Posterize in Gimp followed by edge detection and threshholding. I have also tried Trace Bitmap functionality in Inkscape, but I find that it that most of my attempts are producing too many tangled contours to be useful for colouring-in without a lot of time consuming cleanup. 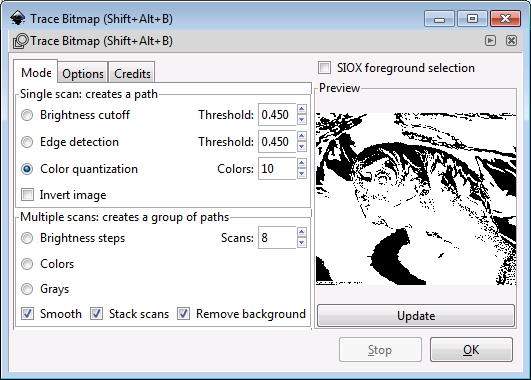 I am wondering is there an existing filter or script that automates this process for Gimp or Inkscape or recipes to use with existing filters. EDIT I have added two attempts below for clarity. 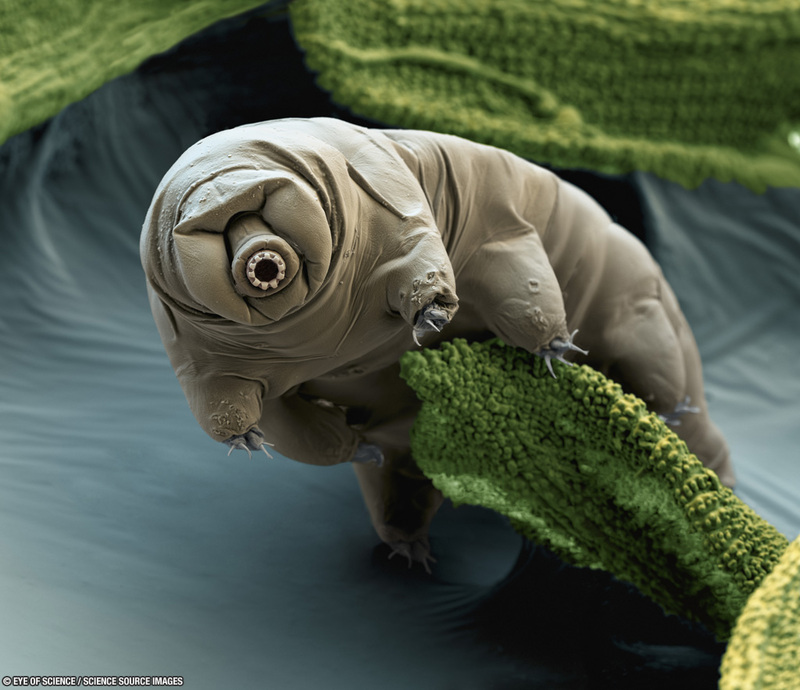 Below is an example of my attempt with Inkscape using this NASA image of a tardigrade. 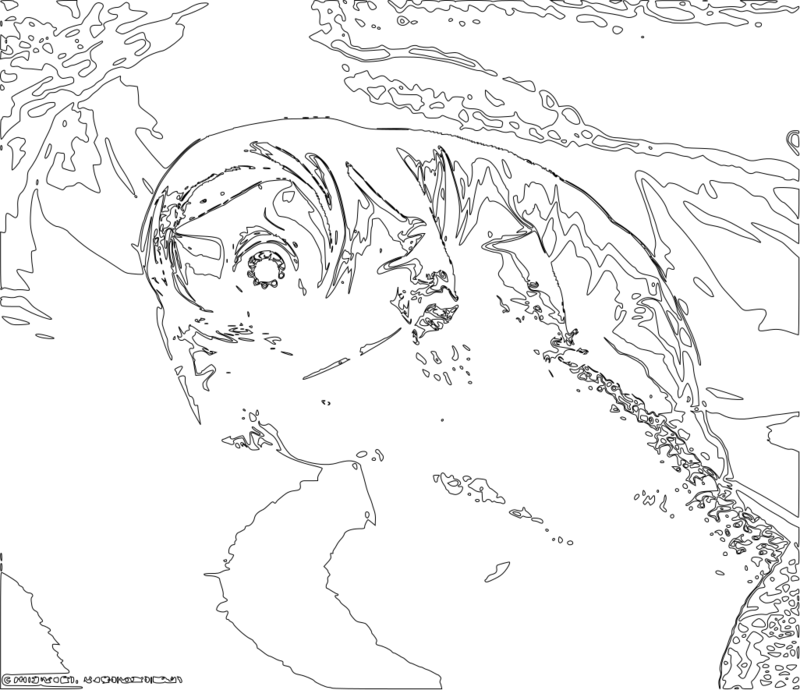 After the image is Bitmap Traced, the Fill is removed and Stroking is added to produce the contours. This uses the same settings as above but with initial Posterizing. Browse other questions tagged gimp inkscape filter or ask your own question.